The history of long-term wealth preservation in families is most commonly characterized by a three-stage process–creation, stasis (balance) and dissipation. The “shirtsleeves back to shirtsleeves in three generations” phenomenon appears to be a global one, with wealth rarely lasting beyond the third generation. As a result, there is an increasing awareness of the importance of putting proper family and business governance strategies in place during the original wealth creator’s lifetime in order to slow, or even stop, this process. The Bahamas offers solutions for many of the issues faced by international families and examples of some structural solutions will be discussed in this article. The products referred to herein are for specific cases after legal consultation and are not a catch-all. However, they can be a useful starting point for discussions with practitioners and appointed counsel. The issues that tend to prevent clients considering succession planning are, in many cases, cultural. Asian and South American wealth creators, in particular, often do not wish to be seen as considering retirement and the preservation of “face” or reputation is important. Likewise, younger generations, whilst often frustrated about being excluded from the decision making process, are generally respectful of elders and do not wish to raise such matters with them. From an advisor’s perspective, confidentiality is also a major issue. Patience and the ability to invest time and energy into gaining the trust of original wealth creators and their families is a key component in achieving successful succession planning strategies. Once trust has been gained, family governance strategies can be put in place that allow the wealth creator to retain control over the business and wider family wealth whilst gradually involving family members and professionals. Dynastic structures established to hold the family’s assets typically may include trusts, foundations, corporate structures and family limited partnerships. For very wealthy families, private trust companies (PTCs) may be appropriate (see Figure 1). PTCs have proven to be powerful tools in long-term family governance. A PTC is a company that is formed to provide fiduciary services to a single family, as opposed to a corporation that offers its services to the public. Generally, PTCs are formed for the express purpose of acting as trustee of a specific trust or group of trusts. Wealth creators can retain control over the administration of their own trusts. While the PTC can only act as trustee for a defined class of trusts, through consanguinity, there are no restrictions on the number of trusts for whom the PTC can act as trustee. Further, there are no restrictions on the class of beneficiaries for whom the trust may benefit. As with other dynastic structures, the wealth creator may have family purpose, procedure and governance clauses written into the memorandum and articles of association of the PTC thus providing certainty with respect to the succession and future management of the family business and wealth. PTCs offer wealthy families the possibility of excellent user-friendly services at a slightly higher cost than other basic estate planning structures. External corporate trustees offer economies of scale that PTCs normally cannot match. However, a PTC is often created as the administrative centre of family business and it creates a hub for governance of all kinds to take place. The Bahamas Executive Entity (BEE) was launched in February 2012 (see Figure 2) and may be used to address a historic problem in the application of a PTC–a perceived loss of control and confidentiality. Whilst family members elect the board of the PTC, the ownership of the PTC’s shares has often proved problematic. Purpose trusts are usually established to perform this function. However, this does place the ownership, and effective control, in the hands of external, albeit usually professional, trustees who are compelled to act in an independent and fiduciary manner. The new BEE may be applied to fulfill the “missing link” in PTC structuring. A BEE is a perpetual entity designed to carry out executive functions, which are any powers and duties of an executive, administrative, supervisory, fiduciary and office-holding nature. Amongst others, a BEE can act as the shareholder of a PTC. Original wealth creators may now establish BEEs for this role and, importantly, control the identity of those chosen officers (usually trusted family members, advisors or friends) whose role is to administer the BEE. A BEE provides enhanced control and confidentiality to international families considering the use of PTCs for long-term family governance. Overlaying all these structures will be the family governance processes, which will be set out in structured documents. These documents may address such matters as family purpose, family procedure and governance and investment parameters and objectives. The original wealth creator may wish to set out a family purpose. This is often wide ranging and similar in concept to a company’s memorandum of association. This would be defined within the context of the family’s business ethics, moral values and wider social purpose. The purpose is often to protect the family’s business against future disagreements amongst successor generations. It may also act as a guide to fairness between the children, some of whom may work in the family business, while others do not. A family procedure is often a vital ingredient in the governance plan. This should include provision for proper communication and reporting within the chosen structure, a forum for meeting and discussion, a means to hold the directors responsible and for their removal, proper legal and financial audit provisions, a well thought out procedure for dispute resolution and the investment and distribution policy. Procedures for appointing and removing directors within the structure. The necessary qualifications for directors and how they meet and vote should be contained in the articles of the relevant entities. Procedures for family meetings and voting should be contained in the family constitution deed, which should be made binding on all family members. Amongst others, this deed should establish the roles, powers, duties and responsibilities of the family branches and family members. All members of the family should be expected to sign the deed on reaching a specified age, following which time they could be involved in the structure with the opportunity to hold office, if elected. To ensure that too much power isn’t concentrated in one family member, branch of family or office, there should be procedures for the election of a wide variety of people on different boards. If there are sufficiently qualified professional family members and trusted professionals, maximum term limits for holding office may be specified in line with corporate governance best practice standards. a significant majority of family members and trusted professionals and also to prevent any one person from hijacking the process. Shareholders’ agreements may be made between those family members that have voting shares and those who have economic value shares. To protect certain assets from contaminating others (for example, separating an operating company from the family properties and investment portfolio), investment goals and guidelines should be clearly defined and segregated where possible. is the Specific Mandate Alternative Regulatory Test Fund, referred to as SMART Funds established under the Investment Fund Act, 2003. A SMART Fund may be established as a Segregated Account Company. Each class would account separately and is considered to be legally separate. If there was an issue with the Class C Operating Company asset it would not affect any of the other classes or their values (see Figure 3). An additional class could be established for philanthropic purposes should the need arise. SMART Funds are licensed by the Licensed Unrestricted Fund Administrator. 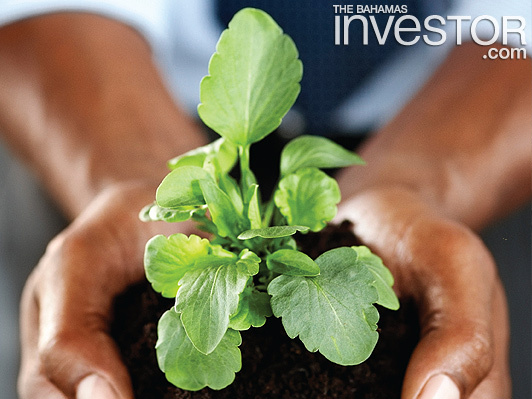 There are seven precedents currently endorsed by the Securities Commission of The Bahamas and they can be established expeditiously. The requirement for an annual audit may be waived and there is a plethora of different assets that can be held in addition to the segregation of those assets. Without careful planning, a hard-earned fortune can easily be dissipated within a generation or two. However, the key to successfully preserving family wealth is long-term planning and a proactive consideration of governance strategies. Structuring is an important component of this process and The Bahamas, particularly in the light of recent legislative changes, has some of the tools that may help mitigate the problem of vanishing wealth for international families.